This is so cool, fun and fresh!Beautiful work again, m a r t a! merci per passar pel flickr! Un encuadre perfecto, los colores y el tratamiento que le has dado son perfectos, las gafas est�n al rev�s? Great soft focus and fantastic lighting! DIvertida i natural... Molt bon retrat. Enhorabona. Salutacions. Cute picture, i really dig the colors. very eye catching. Lovely shot. 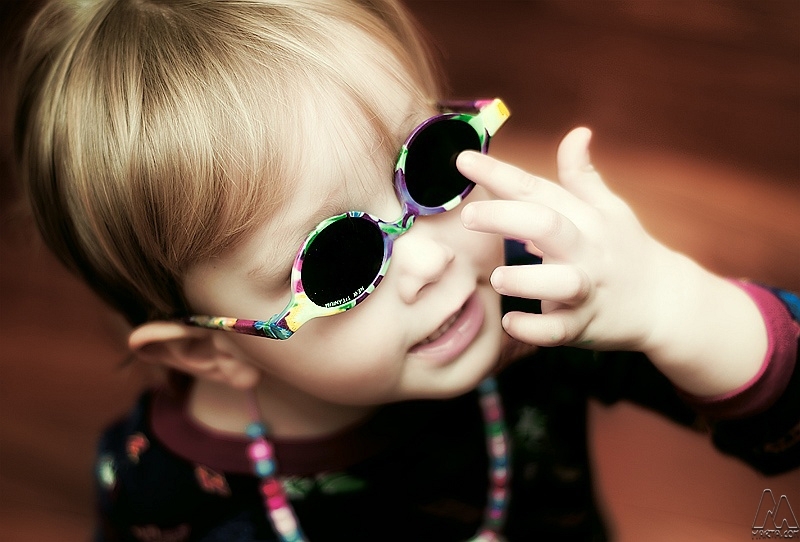 Reminds me of my granddaughter with the sunglasses upside down. Absolutely beautiful child. too bright on the hand though..the rest is good. sherri -actually he insists in wearing them upside down :D, if we tell him to turn them around he gets all upset...what do we know about fashion, right? Thank you for all your comments, they are much appreciated! Aix� de sobre meu �s Spam de gent avorrida, oi? Deus estar ben divertida amb aquest bitxito. Una foto molt bonica. Excellent portrait! Beware of over sharpening (see contour around fingers) and over exposition. Popas Bubile & little Buddy! est� xulissim amb les ulleres...al reves.oi? What a ham! And what an amazing portrait. You've got the gift! muy muy chulo este imagen. I just found m a r t a.com and I'm delighted to wonder the site. All the best! Great portrait, I love the sharp/unsharpness! Bon enquadrament i aquests colors s�n genials per no parlar de l'estupend tractament que li has aplicat. Et felicito. Supremely soft in the skin and sharp on the hair. This is a great junior portrait. How cute. She has no idea they're upside down, does she? Adorable. what a cute kid. Awesome portrait, and great angle. I like the processing on this. Great colours. This is a good portrait. I like your pictures, tone, colour are perfect!